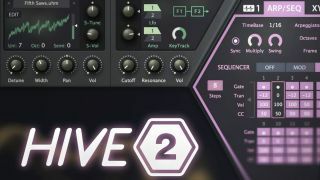 NAMM 2019: u-he is teasing version 2 of its excellent Hive plugin synth. Already one of our favourite plugins, this new version seems likely to take the instrument to even greater heights. Details are scant at this stage - all we have to go on is as a brief social media post - but we’re told to expect an overhauled user interface, new modulation sources, support for NI’s NKS standard and more. Importantly, the update will also be backwards compatible with Hive 1.x, so should be able to slot straight into your existing projects. The upgrade will cost €20, though those who purchased Hive after 20 January or who buy it between now and the release date will get it for free. We’re expecting further updates in the run-up to release, which should be in the second quarter of 2019.